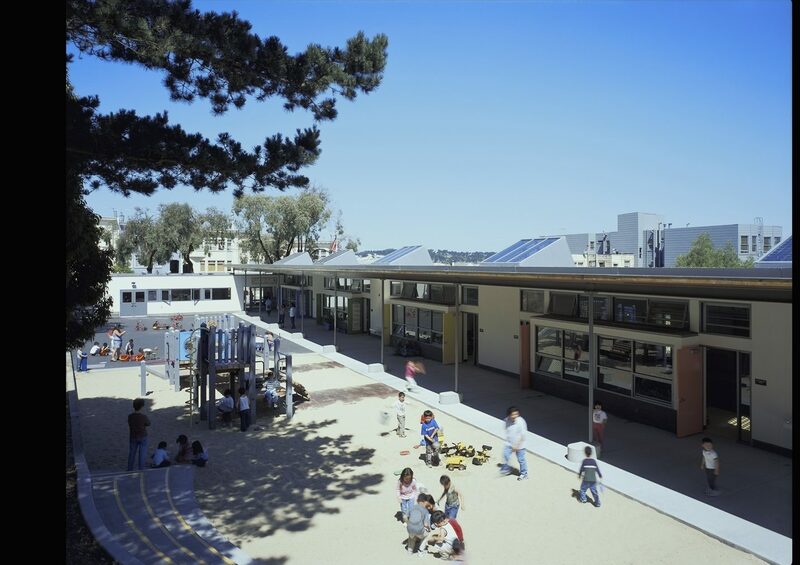 The 6,800 sf Argonne Child Development Center provides new classrooms and administration space for the San Francisco Unified School District. A central challenge to the District’s goals was community opposition to greater site development and concerns over losing what was a much loved community garden. 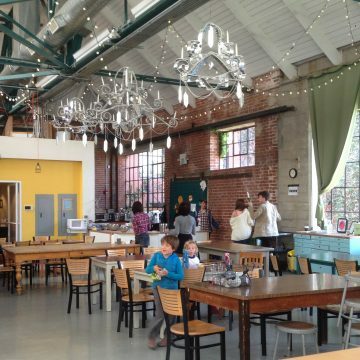 Examination of local demographics indicated a need for a larger facility to serve the large number of neighborhood youngsters in and approaching the school’s age bracket. This evidence helped win community support for the project even as it grew to be four times the size of the existing school. We worked extensively with the local community through programming meetings and design charrettes while maintaining District and school goals and objectives. 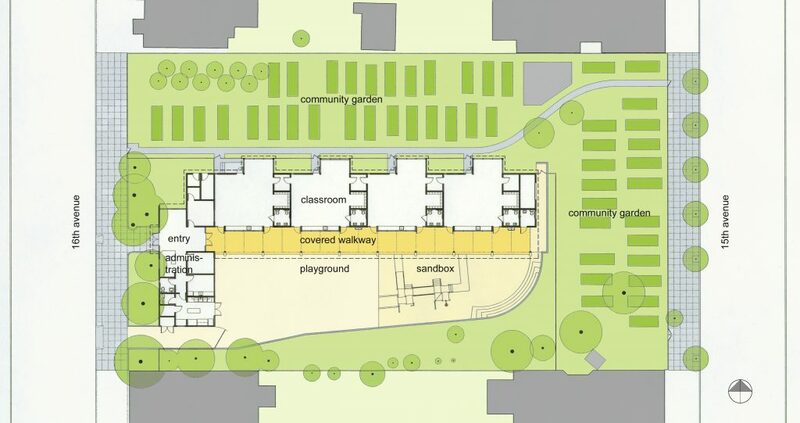 The resulting design creates an array of useful outdoor spaces, including a wide, sheltered walk that opens onto the sunny play area and, on the other side of the building, the design extends glassed-in reading alcoves toward the maintained community garden so students can absorb its sights and smells. 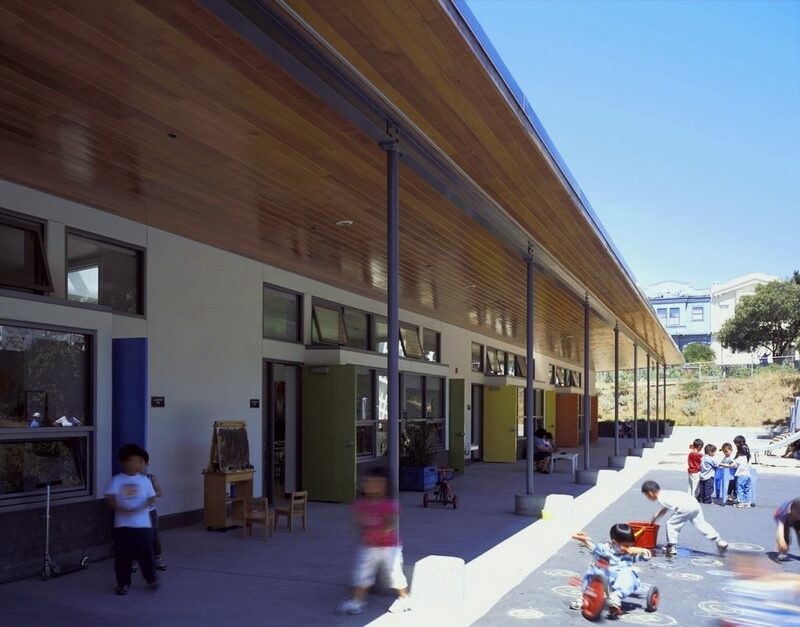 Before LEED and sustainable practices became mainstream, 450 architects advocated for the benefits of green building, providing to SFUSD cost benefit analyses of green products and renewable energy. 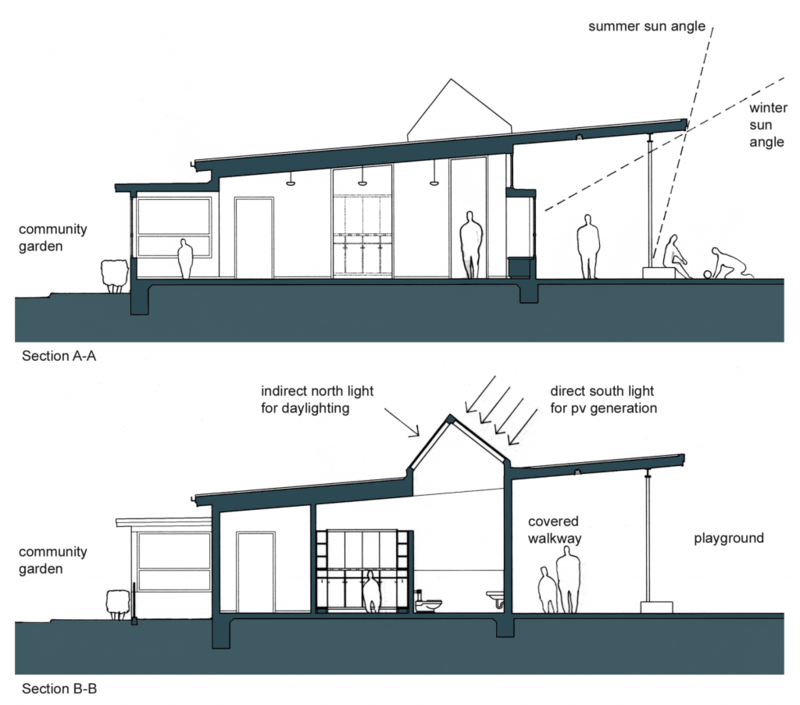 450 performed shadow and siting studies to design roof overhangs optimize daylighting. Classrooms can be used almost year-round without artificial lighting. 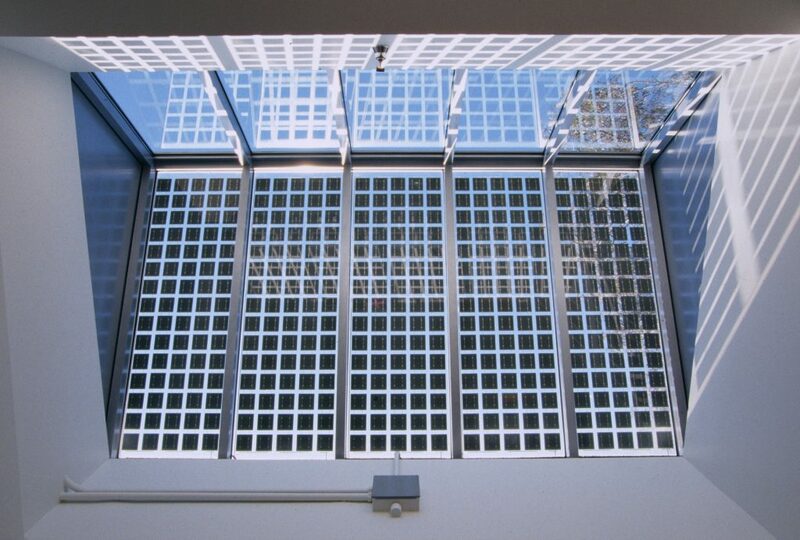 The design achieves passive cooling through cross- and stack-effect ventilation. 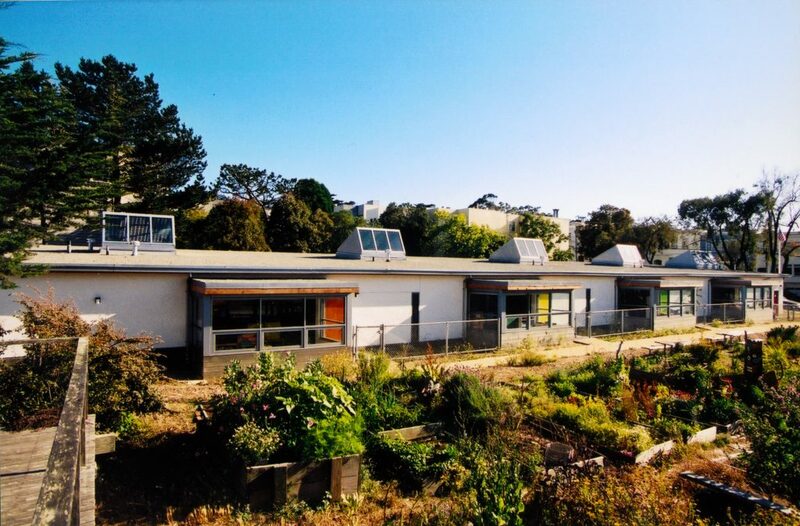 As San Francisco’s first solar-powered school, the Argonne Child Development Center serves as a solar demonstration site and teaching tool for the School District. 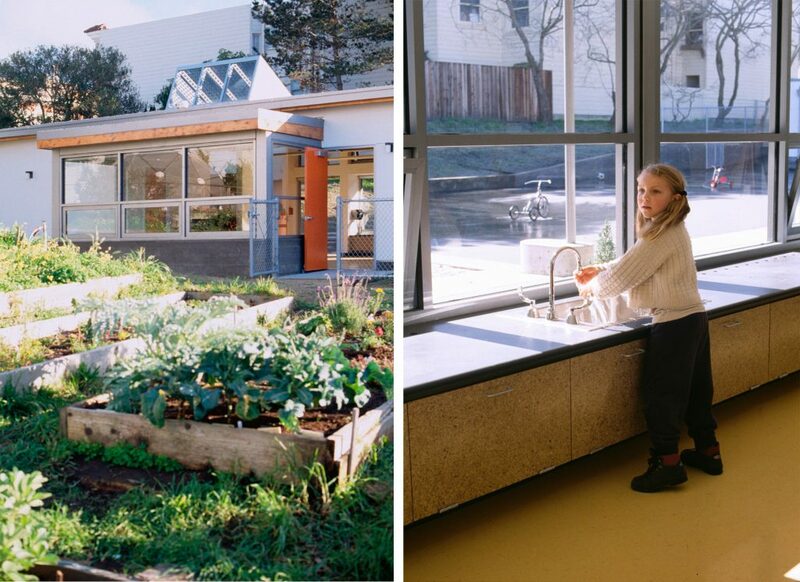 Integration of community garden with site. Testimonial The services we have received from 450 Architects have been invaluable to our Proposition A Building Improvement Program. They have been able to work closely with the District and the community while consistently maintaining schedules and budget goals.